Build Enough Bookshelves: Princessess, Shmincessess! So I have a few issues with princesses. Not Kate. Never Kate. Kate can do no wrong. I have a mega girl-crush on Kate. Not princesses themselves, really, but the whole construct of the pretty and passive princess, held up as a prize for the bravest/strongest/smartest/handsomest prince to claim when he defeats the dragon/outwits the wizard/climbs the tower/whatever. There's nothing wrong with wanting to look and feel beautiful. There's nothing wrong with looking forward to a happy and satisfying marriage relationship. There's nothing wrong with wearing pretty ballgowns, glass slippers and bejeweled crowns. But there is definitely something wrong with sending our girls the message that their value lies solely in their role as an object of desire for others, that it's the man's job to call the shots in a relationship, and that passive acceptance is the proper response to anything that happens in their life. 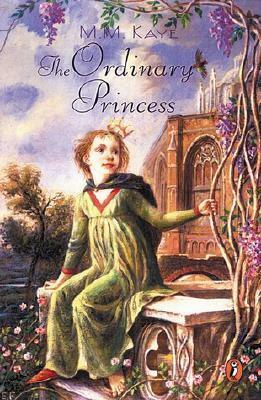 So here are a few princess books that buck those negative messages, while retaining the "good" parts of being a princess. 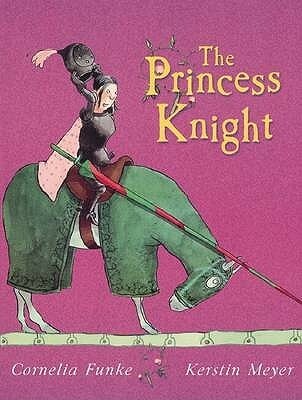 In The Princess Knight, after raising his daughter Violetta to be able to ride horses, sword fight, and joust as well, if not better than, his three sons, King Wilfred announces that in honor of her sixteenth birthday he will hold a tournament. The winner, he tells her, will be offered her hand in marriage. "So put on your finest gown and practice your prettiest smile." Violetta revolts. "You want me to marry some dimwit in a tin suit? Just look at your own knights! They whip their horses and they can't even write their own names!" Her outburst earns her imprisonment in a tall tower, until she convinces her nursemaid to pretend to be her and suits up to join the knights in the tournament. Sir No-Name easily trounces the competition and the king is shocked when it's revealed that the stranger is none other than his own daughter. Claiming her freedom as her prize, she "turned on her horse and rode away - far, far away. And she didn't return for a year and a day." Now that's a princess who quite literally refused to be someone else's prize and uses her strengths to determine her own course in life. 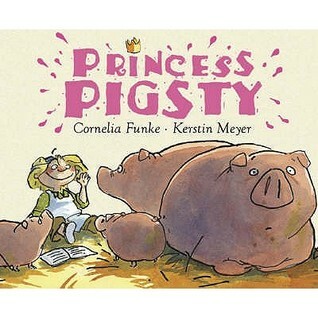 Another book by the author/illustrator team of Cornelia Funke and Kerstin Meyer, Princess Pigsty highlights a princess who just doesn't fit the mold. Unlike her two sisters, Isabella just isn't happy with thirty walk-in closets full of beautiful clothes, "footmen to blow their noses for them and ladies-in-waiting to tidy up their rooms, hang up their clothes, and polish their crowns until they shone." She wants to - gasp! - get dirty! And blow her own nose! And climb trees! And even - horrors! - WEAR PANTS! Her father, the king, thinks he knows how to solve this problem. He sends her to the kitchens to wash dishes, peel onions, and scrub ovens, certain that would cure her insolence. But it doesn't work. She loves it! So he sends her to the pigsty where she feeds the pigs and cleans their pens. She loves it so much that she beds down in the straw with the animals instead of in her royal bedroom. Finally, the king has an epiphany. "Oh my little daughter," he said, and he sat down next to her on the straw. "You are dirty and your hair feels like straw, but you look happy!" She assures him that she is. "I'm happier than I've ever been before in my entire life." Her happiness is more important to him than his insistence that she fit neatly into a cookie-cutter definition of what a princess should be, and do, and like. 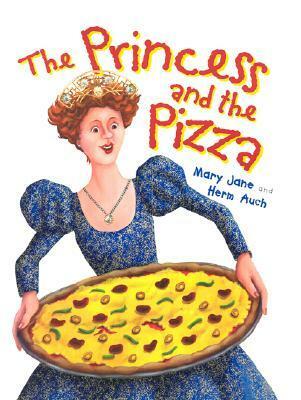 The Princess and the Pizza introduces us to Princess Paulina. She's already a bit of an unconventional princess since her father gave up the throne to become a woodcarver, and she misses "princessing." When the opportunity comes along to win the hand of the neighboring kingdom's Prince Drupert, she jumps at the chance to regain the life she once had. Eleven other princesses show up for the competition, including some recognizable ones like Snow White, Rapunzel, and Cinderella. After passing the pea-under-the-stack-of-mattresses test and writing an essay on "Why I Want to Have the Gracious and Exquisitely Beautiful Queen Zelda for My Mother-in-Law," Paulina is faced with the final test. She and the other two princesses left must each prepare a feast for the palace. Rapunzel trips Paulina with her long hair and while she's getting up Snow White's dwarves run off with almost all of the ingredients and kitchen tools. Left with "some flour, yeast, water, three overripe tomatoes, and a hunk of stale cheese," Paulina gets creative, adding some garlic and herbs she happened to have brought with her for luck. Her unique dish wins the contest, but she decides she doesn't really want to marry Drupert, and certainly doesn't want Zelda for a mother-in-law. Back at home, she opens "Princess Paulina's Pizza Palace" and finds satisfaction in creating unusual combinations like popcorn-pineapple, butterscotch-broccoli, and avocado-apricot pizzas. Way to not settle, Paulina! M.M. Kaye's The Ordinary Princess is a light, fun read about a princess who doesn't fit the mold. Blessed with "ordinariness" by a cantankerous fairy godmother at her christening, Princess Amethyst Alexandra Augusta Araminta Adelaide Aurelia Anne - who goes by Amy - is plain next to her six glamorous older sisters. But other fairies had given her other gifts including health, wit, courage, charm, and cheerfulness. In a pointed bit of social commentary, Ms. Kaye adds "But because she was not beautiful, no one ever seemed to notice these other qualities, which is so often the way of the world." These qualities come in very handy when, about to be boxed into a marriage she doesn't want, Amy runs away and lives happily in the woods until she discovers that her clothes are wearing out and she needs new ones. She is counseled by the same cantankerous fairy godmother who blessed her to be ordinary to travel to the nearest city and work to earn money for new clothes. "'Oh, work,' said the Ordinary Princess thoughtfully. 'I'm not sure I should like that.' 'Neither do most ordinary people--but they have to,' said the old fairy." After finding work as a kitchen maid at the palace in the city of Amber earning two pfennigs a week, Amy declares "there is nothing that gives you a feeling of such proud satisfaction as drawing a weekly wage that you have earned all by yourself. Even if it is only two pfennigs!" Maybe this sounds silly, but I really appreciated that even after running away, Amy sent her parents letters - albeit with no postmarks - to let them know she was safe and happy. As a mother myself, I always worry about the parents in stories where kids run away and I'm glad that Amy did, too. Very thoughtful of her.